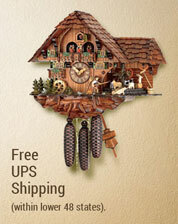 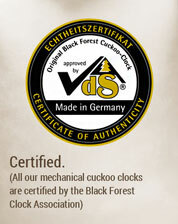 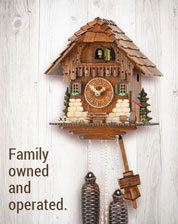 Beautifully carved 16 inch 1 day musical cuckoo clock by Hubert Herr. 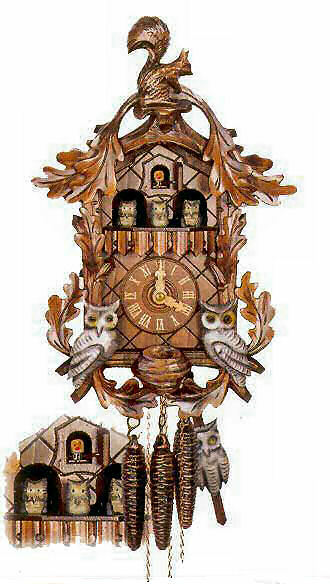 Clock features dancing owls, while music plays (Edelweiss or Happy wanderer). 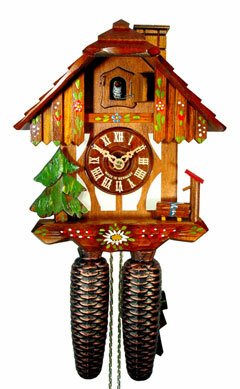 The 2 big owls move, when the cuckoo calls the hour or half hour. 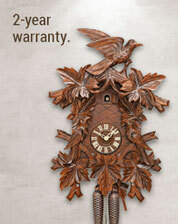 Clock features wooden dial and hands, nightshutoff, handpainted owls.